What is The Corps Network Health Plan? The Corps Network Health Plan is an Affordable Care Act and Minimum Essential Coverage compliant health insurance plan for AmeriCorps members that serve under TCN member organizations. * The plan was created out of a request from member Corps for a healthcare plan that met their bottom-line, the needs of their Corpsmembers, and the rules and regulations of AmeriCorps. Over the past 25 years, TCN’s Health Plan has annually provided thousands of Corpsmembers with health care that is both comprehensive, and affordable for their host organization. Plan options include medical, dental and vision insurance. Developed through the dedicated work of Willis Towers Watson, The Corps Network’s AmeriCorps Member Health Plan is underwritten by Cigna. Gerber underwrites the AD&D portion of the plan. How do I get my AmeriCorps members enrolled? 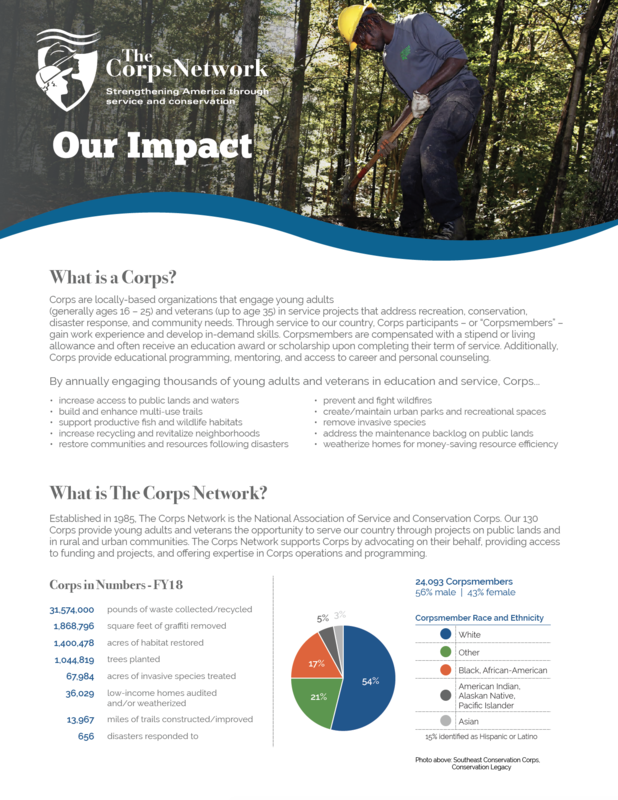 If you are interested in enrolling your program or have questions regarding The Corps Network Health Plan, contact Bobby Tillett, The Corps Network’s Member Services Manager, at btillett@corpsnetwork.org. If you are a potential or current AmeriCorps member interested in TCN’s Health Plan, please contact your AmeriCorps Program Manager to see if they offer our plan. *Only organizations that are members in good standing of The Corps Network are eligible to offer this plan to their Corpsmembers. If your organization is not already a member of The Corps Network, don’t worry; it’s easy to join! To learn more about membership with The Corps Network, visit our Join The Corps Network page.